**On May 31st, to celebrate the feast of The Visitation/Queenship of Mary, we will post a linky for you all to share your May celebrations (May Crowning Feasts, Crown Cakes, etc.) in honor of Our Lady! -- Joseph Cardinal Ratzinger, Seek That Which is Above (Ignatius, 1986), pp. 95-96. 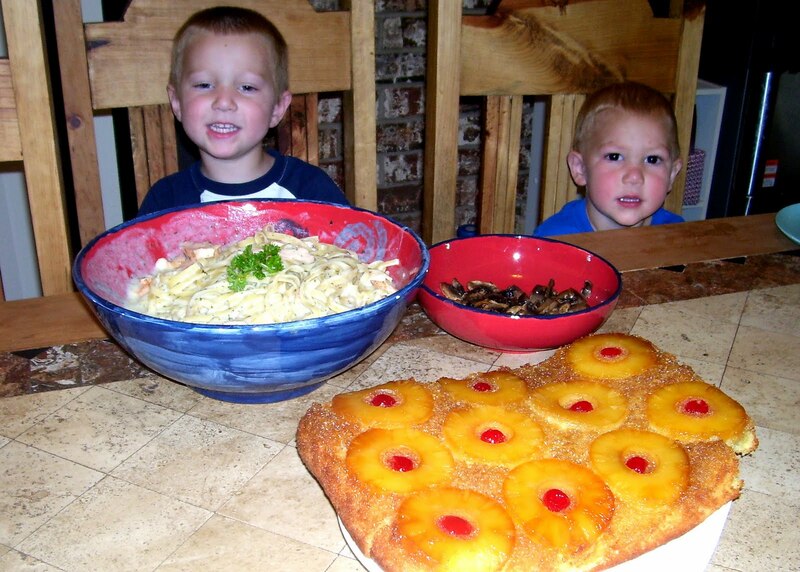 In honor of the feast of St. Catherine of Sienna, Megan shares about her family celebration honoring this great saint and the reason she decided to serve Upside Down Pineapple Cake. Thank you Megan! "It was another bright sunny day and the Ipps of coursed seized it with outdoor play. Little did we realize that dinner would sneak up on us suddenly. Today we were (29th of April is the feast day) celebrating the Feast of Saint Catherine of Siena. 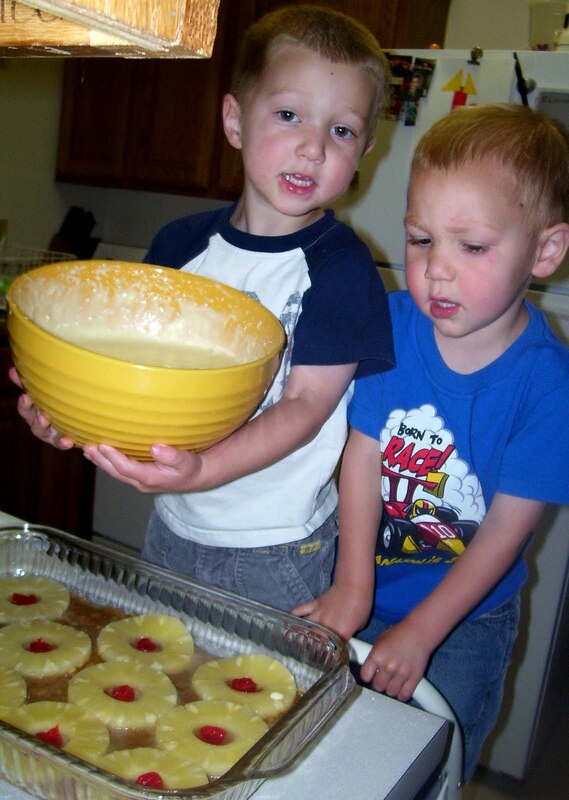 For her Feast Day, Cowboy and Tornado were going to help me make a pineapple upside down cake. The pineapple rings symbolize how Catherine was espoused to Christ by a nuptial ring that was only visible to Saint Catherine. In addition, the pineapples sink delicately into golden brown sugar, not being completely in view just like the invisible wedding ring. We used a simple pineapple boxed cake mix and added rings of pineapple and halved Marciano cherries. Next time, we'll need to grease our 9x13 pan before pouring melted butter and brown sugar into the pan. We forgot to grease the pan and the cake did not flip as easily onto the awaiting pure white platter. 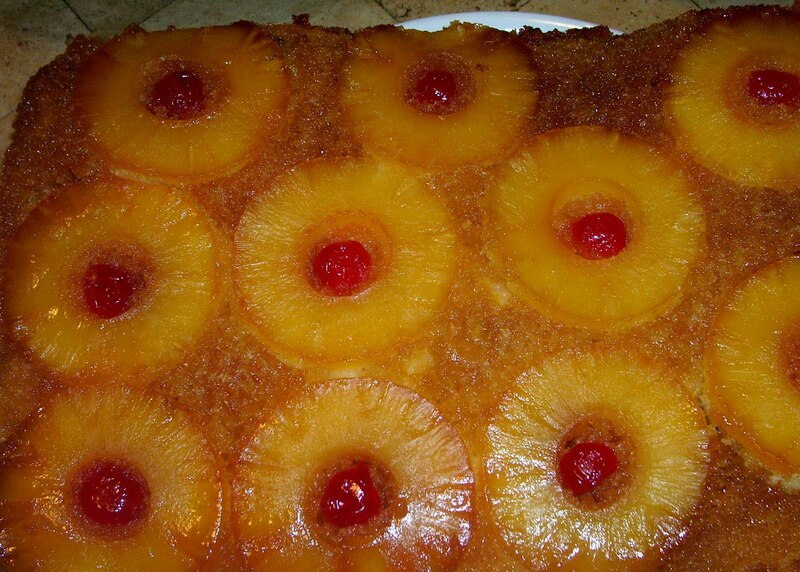 Any favorite upside down pineapple cake recipe will work, just be sure to have extra cherries for everyone to sample. As the yummy cake baked for 40 minutes we whipped up fettuccine Alfredo with grilled chicken strips and mushrooms soaked in butter. It was great fun to celebrate this Italian saint and will be a tradition we hope to keep for years to come. 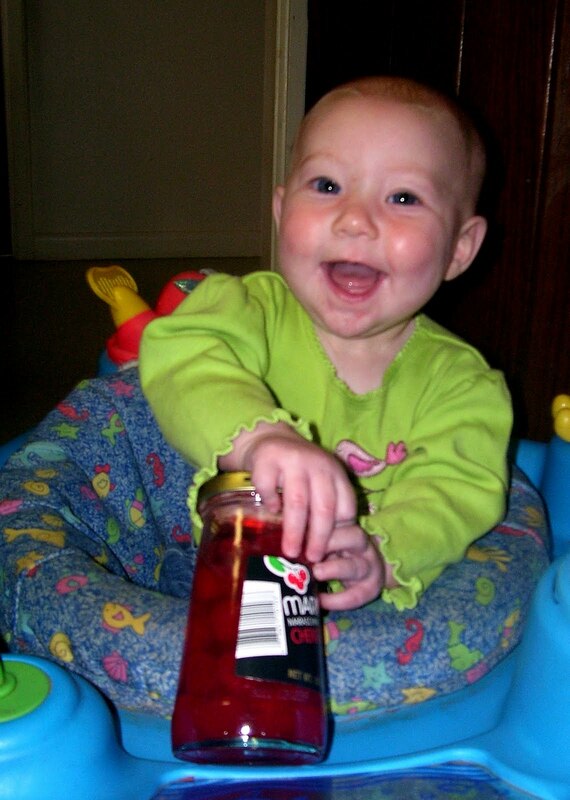 Even six month Angel enjoyed helping! The night ended with watching Saint Catherine of Siena (My Catholic Family)." Robina, from Motherly Loving, shares a few ideas for celebrating the feast of St. Gianna Beretta Molla on April 28th. Thank you Robina! 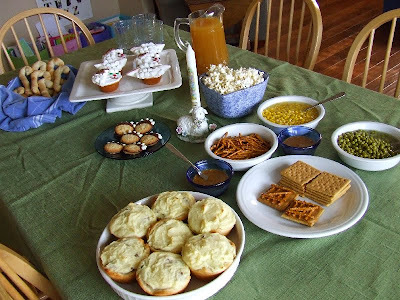 "I am having friends from our parish's Mom's Group over again for Coffee & Cannolis and to pray the rosary while our children play to celebrate the Feast of St. Gianna. 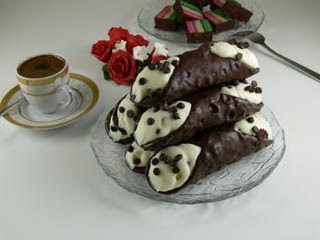 I used to make my own cannolis as a child, but now I have a few select places that I buy from, with my all time favorite but far away being Venieros in Manhattan (their chocolate covered cannolis pictured above). You could also celebrate St. Gianna's Italian heritage and make an Italian meal for dinner, some kind of yummy pasta or even pizza or eat out at your favorite Italian restaurant." Make the filling: Line a sieve with a layer of cheesecloth, and set over a bowl. Spoon ricotta into sieve. Cover, and let drain in the refrigerator overnight. With an electric mixer on medium speed, beat ricotta and confectioners' sugar until fluffy. Beat in chocolate chips, vanilla, zest, and lemon juice. Cover with plastic wrap, and refrigerate. Melt chocolate in a heatproof bowl set over a pan of simmering water. Dip one end of each cannoli shell into chocolate and dip into mini chocolate chips. Let set 15 minutes on parchment paper. Transfer filling to a pastry bag fitted with a 1/2-inch star tip. Pipe filling into one end of a shell to the center, then into other end. (*You can also just use a plastic bag and spoon it in.) Repeat with remaining shells and filling. Dust with confectioners' sugar, and serve immediately. God our Father we praise You and we bless you because in St Gianna Beretta Molla you have given us one who witnessed to the Gospel as a young women, as a wife, as a mother, and as a doctor. We thank you because through the gift of her life we can learn to welcome and honor every human person. You, Lord Jesus, were for Gianna a splendid example. She learned to recognize you in the beauty of nature. As she was questioning her choice of vocation she went in search of you and the best way to serve you. Through her married love she became a sign of your love for the Church and for humanity. Like you, the Good Samaritan, she cared for everyone who was sick, small or weak. Following your example, out of love she gave herself entirely, generating new life. Holy Spirit, Source of every perfection, give us wisdom, intelligence, and courage so that, following the example of Saint Gianna and through her intercession, we may know how to place ourselves at the service of each person we meet in our personal, family and professional lives, and thus grow in love and holiness. Amen. Our third Good Shepherd's Garden Party, as we celebrate the 50 days of Easter with The Garden of the Good Shepherd , is based on the theme "The Heaven's Tell God's Glory." Head over to Charlotte's blog to see the pictures from her Good Shepherd's Garden Party for Week 3. 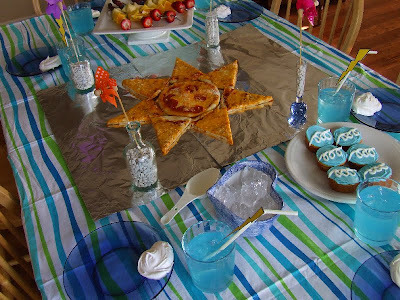 I just love the "Sun" Pizza she ended up making! Isn't it so cute!?! I also made a substitution for the sun... I just wasn't up to baking the cute sun cupcakes after making two other cakes last week. However, I wasn't very creative and just used a package of cookies instead of the cupcakes. :) You can see our pictures at Shower of Roses. 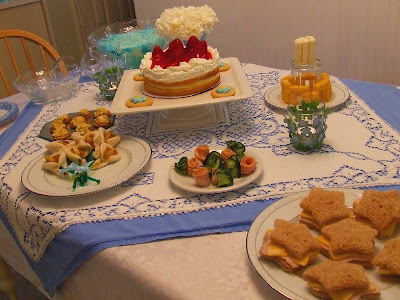 Charlotte and I have been amazed at all of your creativity as you modify our plans for your own Garden Parties! Angie, who doesn't blog, emailed us the following pictures to share saying, "Here are the things I made for the week 3 party. My kids love breakfast dinner, so they were thrilled to have grapefruit "suns", pancake "Clouds" with bacon lightening, sparkling pink lemonade rain, with ice "hail", scrambled eggs "wind", and rainbow fruit kebobs. We finished off with the rice crispie shields for St. George. Thanks for all the great ideas!" Pancake "Clouds" with Bacon "Lightning"
Sparkling Pink Lemonade "Rain" with Ice "Hail"
Thank you, Angie, for sharing your beautiful pictures and ideas with all of us! Charlotte and I never even considered incorporating breakfast foods (like Angie's above, or Colleen's from Week 2) into our menus! What a great idea!! 1. 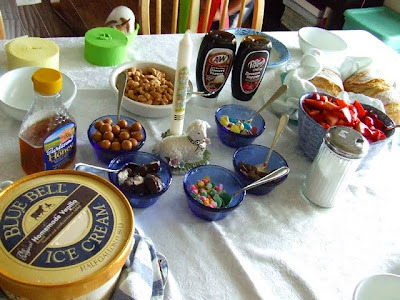 Create a post about your Good Shepherd's Garden Party or activities for the third week of Easter. 5. The linky will be open until next Monday when we add a new one for Week 4. 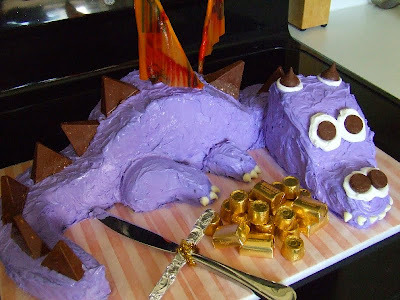 Did you make a Dragon Cake in honor of St. George today? Did your kids have fun slaying their dragon? We'd love to see it! 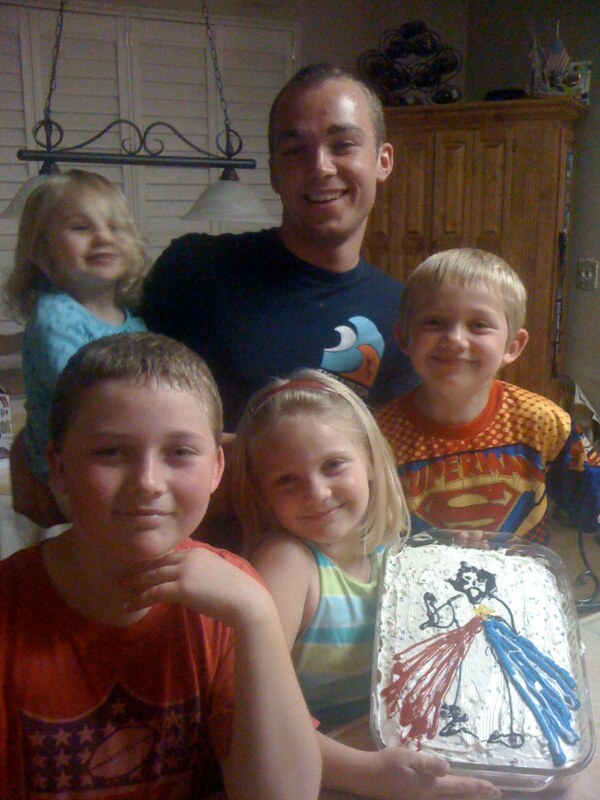 Red Cross Crispies for St. George! 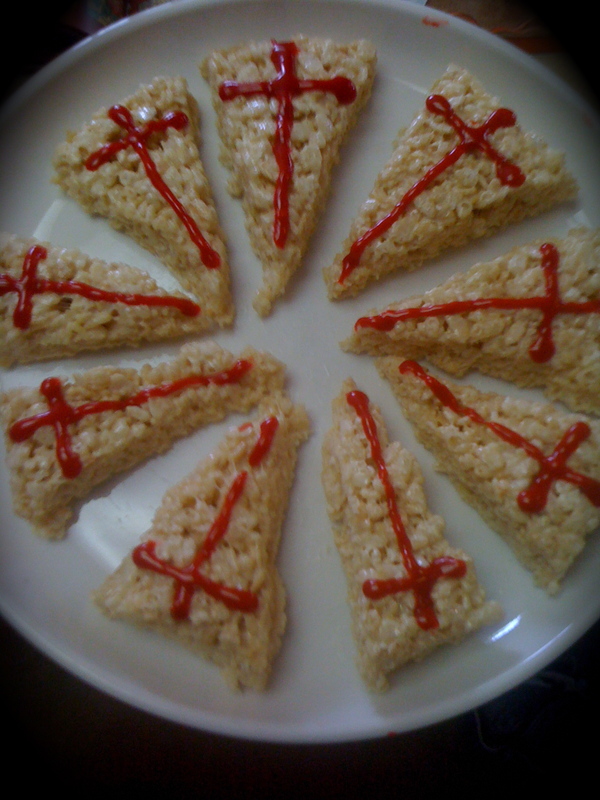 These great Red Cross Crispies, in honor of St. George whose feast day is celebrated on April 23rd, were submitted by Tiffany at Family at the Foot of the Cross. Thank you Tiffany! "This was the easiest "unplanned" snack I've ever made. I happened to have Rice Krispies on hand so I made them while the kids were doing their dramatic arts lesson. I just cut them into triangles with a touch of red icing to be the shield of the Red Cross Knight. I think it took a whole 15 minutes...Yay for simple!" 4. Cut into triangles. 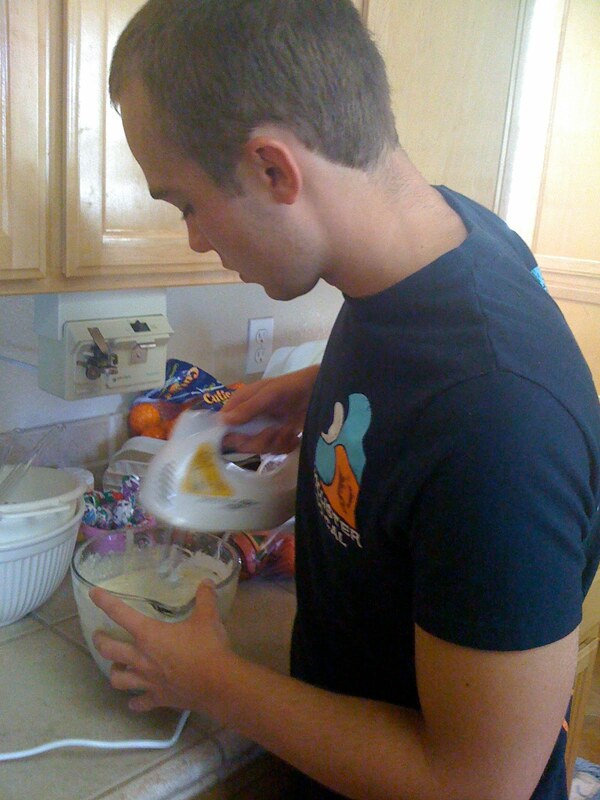 Add red icing as pictured. Best if served the same day. Don't forget to read Saint George and the Dragon by Margaret Hodges. Tiffany's children had a darling impromptu dress-up party and reenactment after reading this story. Be sure to click over to her blog to see the rest of her pictures! Hope you all have a very Happy St. George's Day! This Lion Cake was submitted by my friend Jacinta. 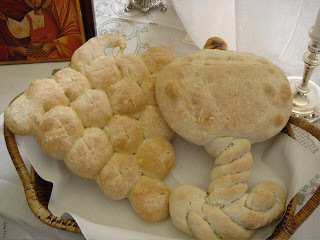 She made it for her son's birthday, on the feast of St. Leo, but it would also be perfect for the upcoming feast of St. Mark, since he is often symbolized as a lion. Thank you Jacinta! *If you can't find orange food coloring, use a mixture of red and yellow food coloring to achieve the right color. Place the cake on a clean work surface. Using the bread knife, trim a 1 by 5-inch long piece on an angle from opposite sides of the cake to create the lion's jawline (see picture). Discard scraps. Spoon 3 Tbsp of the untinted vanilla frosting into a resealable plastic bag. Add the food coloring to the remaining frosting to tint it orange. Place the cake on a serving platter. Spread the cake evenly with the orange frosting. 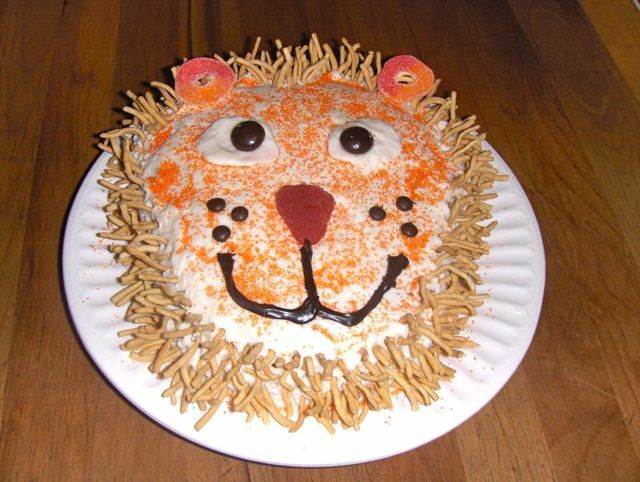 Poke the chow-mein noodles into the sides of the cake for the mane; insert more chow-mein noodles into a widow's-peak shape into the top 2 inches of the cake to create the lion's forehead. Snip a small corner from the bag of untinted vanilla frosting. Pipe two 1 ½-inch circles for the lion's eyes. Place the Junior Mints onto the circles for the irises. Pipe a small dab of vanilla frosting on each Junior Mint to add sparkle to the eyes. Place a chow-mein noodle above each eye for the lion's eyebrows. Using the brown decorating icing, pipe a W shape for the lion's mouth, as pictured. Microwave the red Starburst for 2 to 3 seconds to soften slightly. Knead the Starburst together to make a 1 ½-inch triangle and place it in the center of the cake for the nose. Add the M&M's Minis for freckles. To finish, lay the gummy peach rings on the upper left and right corners of the cake for the lion's ears. You can also find the directions for making Lion Cupcakes and other foods in honor of St. Mark in the archives! Continuing our celebration of the 50 days of Easter with The Garden of the Good Shepherd , our second Good Shepherd's Garden Party is based on the theme "Welcome to the Lord's Table." Charlotte and I both ended up making a couple little modifications to this week's menu (as we encourage you all to do as needed!) to better suit our families and schedules. 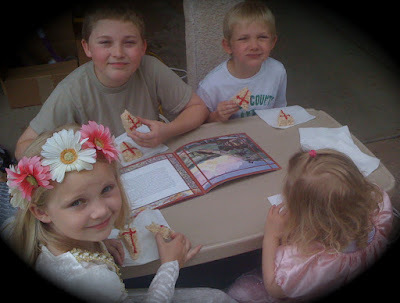 Good Shepherd's Garden Party ~ Week 2. 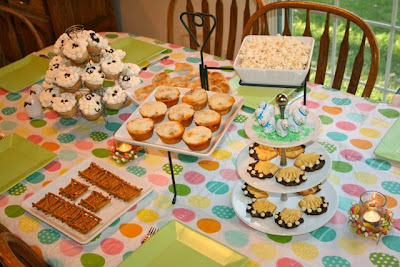 If you'd like, you can then head over to my other blog to see pictures from our Good Shepherd's Garden Party. 1. 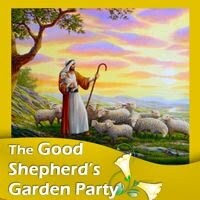 Create a post about your Good Shepherd's Garden Party or activities for the second week of Easter. 5. The linky will be open until next Monday when we add a new one for Week 3. 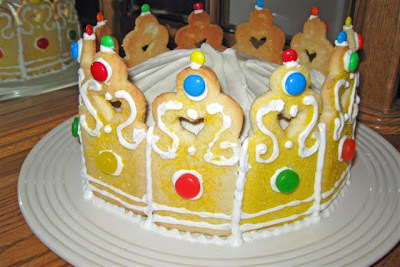 Last year, in honor of our beloved Holy Father's Birthday, I made my children Pope Benedict's Coat of Arms Cupcakes. Expanding on this idea, Catholic Cuisine reader Lara from Canada created some cute little cupcake toppers using the Coat of Arms to share with you all! Thank you Lara! 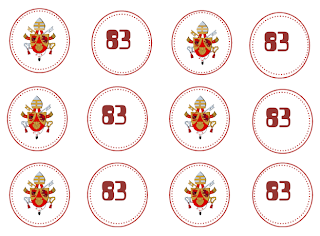 UPDATE: You can print the updated Cupcake Toppers for Pope Benedict's 84th Birthday here. 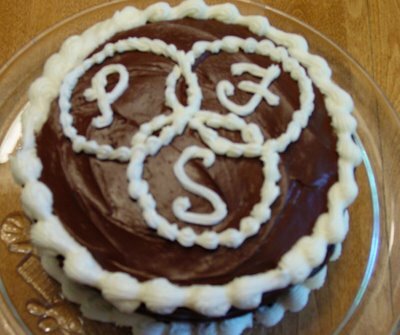 You can find other recipes for celebrating Pope Benedict's Birthday here. Lord Jesus Christ, You willed to build your Church on Peter the Rock and the Popes who have succeeded him through the ages. Pour forth your grace on our Holy Father, that he may be a living sign and an indefatigable promoter of the unity of the Church. Help him to proclaim your message to all people and to listen to the message that comes to him from the consensus of all its members and from the world that You made. Make him serve others after your example and in accord with his traditional title: "Servant of the servants of God." Unite us closely to him and make us docile to his teachings. Amen. We made this pizza for the Feast of St. Mark but it would be great to use for St. Leo the Great or any other "roaring" occasion! This was lion was very easy using a Take-N-Bake pizza. We are celebrating the 50 days of Easter with The Garden of the Good Shepherd and with a weekly Good Shepherd's Garden Party! 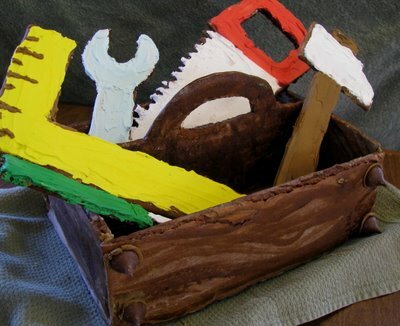 The theme and menu for the first week was based on "The Good Shepherd's Pasture." First head over to Waltzing Matilda to see pictures from Charlotte's first Good Shepherd's Garden Party! Aren't her Ram cupcakes adorable? She let me have a sneak peek at them before attempting to decorate ours. And be sure to check out her favorite new Easter Decoration! 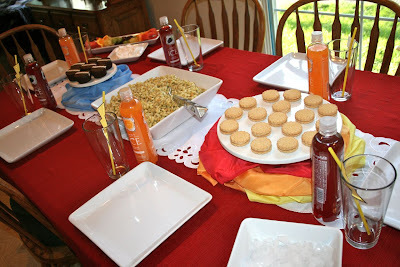 Then you can click over to my other blog, Shower of Roses, to see pictures from our party. Now it's your turn! 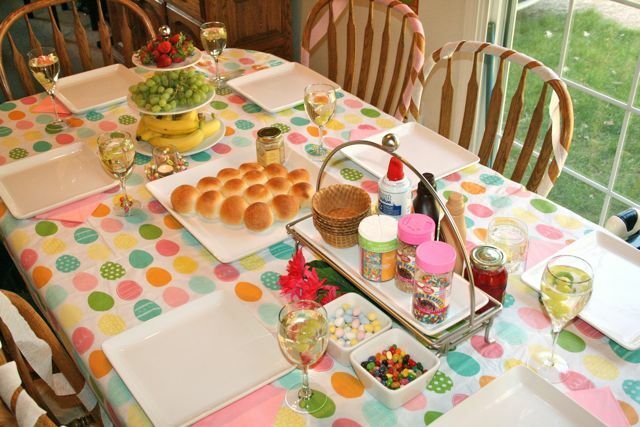 How did you and your family celebrated this first week of Easter. 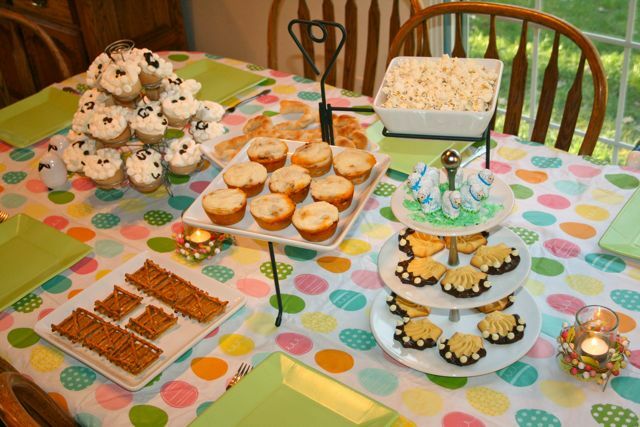 We'd love to see pictures and hear about how you modified our Good Shepherd's Garden Party for your family, or incorporated any of our other ideas (whether you choose daily activities or just one party for the week) into your celebration. 1. Create a post about your Good Shepherd's Garden Party or activities for the first week of Easter. 5. The linky will be open until next Monday when we add a new one for Week 2. 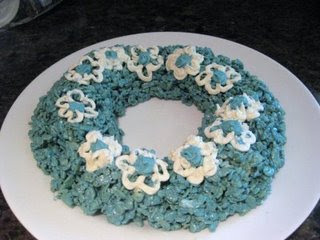 For Divine Mercy, we made Rice Krispie bars, (with chocolate chips added after the krispies) put them into a heart shaped pan and used pull apart string licorice for the "mercy" side and white frosting (put into a baggie, corner cut and squirted out) for the "graces" side. *Our computer was down yesterday, so this is late, but it can be made anytime, right? 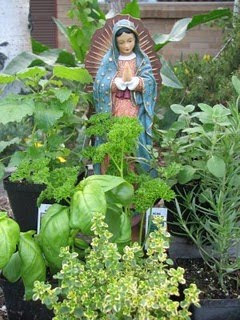 This picture was submitted by Robina, at Motherly Loving, for publication here at Catholic Cuisine. Thank you Robina! We celebrated Divine Mercy Sunday with a lunch of heart-shaped pancakes with strawberries and blueberries for the red and blue rays representing the blood and water that flowed from Jesus' pierced heart. 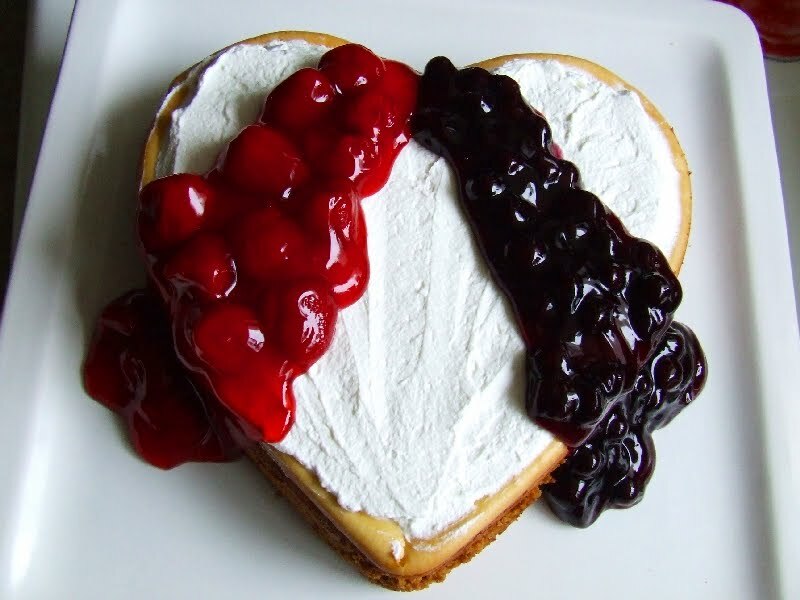 Today, we made our favorite Creamy Lemon Cheesecake again in the heart shaped pan and used strawberry pie filling and blueberry pie filling to represent the rays of blood and water. Maybe the blueberries were stretching it, but lemon and blueberry is a wonderful flavor combination! 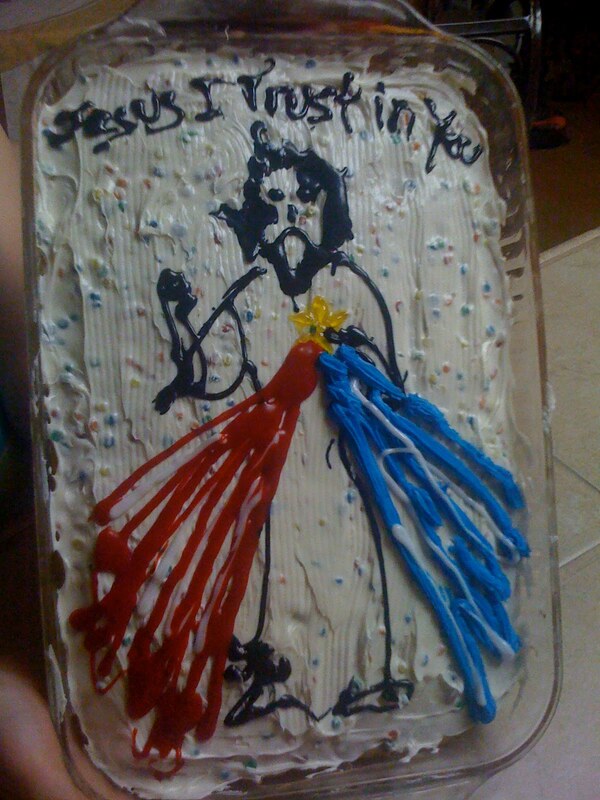 This beautiful cake, in honor of the Image of Divine Mercy, was submitted by Tiffany at Family at the Foot of the Cross. Thank you Tiffany! I love the Divine Mercy Devotion! As a family we have enjoyed praying the meaningful novena that started on Good Friday. 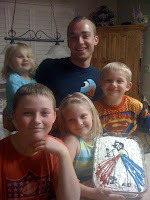 I learned about St. Maria Faustina, a long with my children, when we began homeschooling 6 years ago. We have come to love this devotion together, trying to live the merciful way. My oldest son (age 16) has a particular fondness of this devotion so he insisted on baking our dessert in honor of the Image of Divine Mercy that Jesus asked St. Faustina to have made. We used confetti cake with confetti icing because they both reflected the Divine Mercy colors and then we decorated the best we could to reflect Jesus in his Divine Mercy Image! It's nothing professional but made with love and devotion. The Divine Mercy Chaplet is also a favorite of my oldest son. We look forward to Divine Mercy Sunday this weekend. We shall pray unceasingly "Jesus I Trust In You!" This is St. Faustina's exclamation of trust. 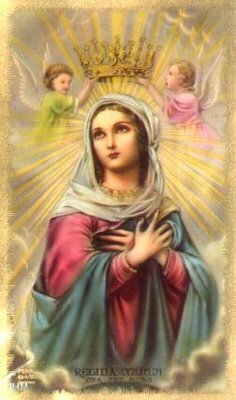 It is our "yes", our fiat, with Mary, Mother of Mercy. This is to express our faith, hope, and love of the Father, the Son, and the Holy Spirit. (Pope John Paul II, Mother of the Redeemer , n.14). Here is a lovely idea for a cake for Divine Mercy Sunday from Sara at A Shower of Roses. 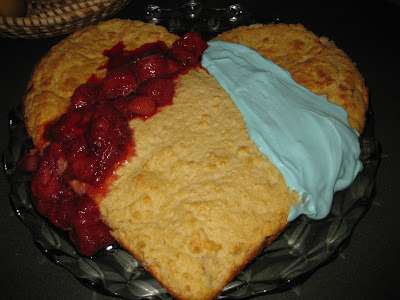 Sara says in her post, "I just used the shortcake recipe from my BH&G cookbook, doubled it, and made a square and circle. I cut the circle in half to make the heart. 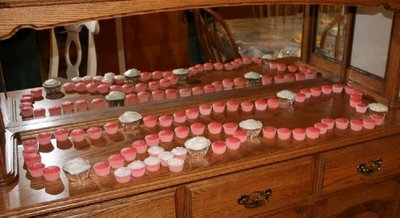 Then I covered the seams with the blood and water pouring from Jesus's heart----strawberry syrup made from berries we picked last summer, and blue whipped cream. 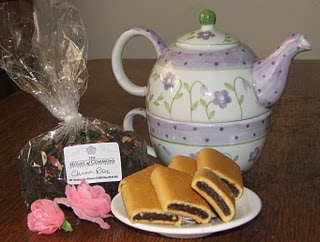 And it tasted wonderful, too, just like Jesus's sweet mercy!"